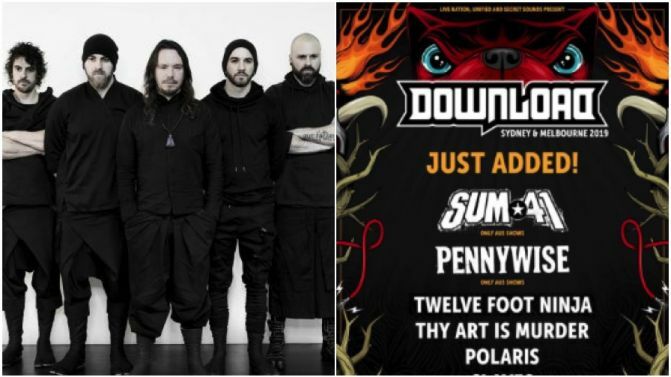 In a bizarre series of events, Twelve Foot Ninja have released and then deleted a statement addressing fan backlash, which erupted after they posted a dodgily photoshopped version of the Download 2019 second lineup poster with themselves billed above Polaris and Thy Art Is Murder. 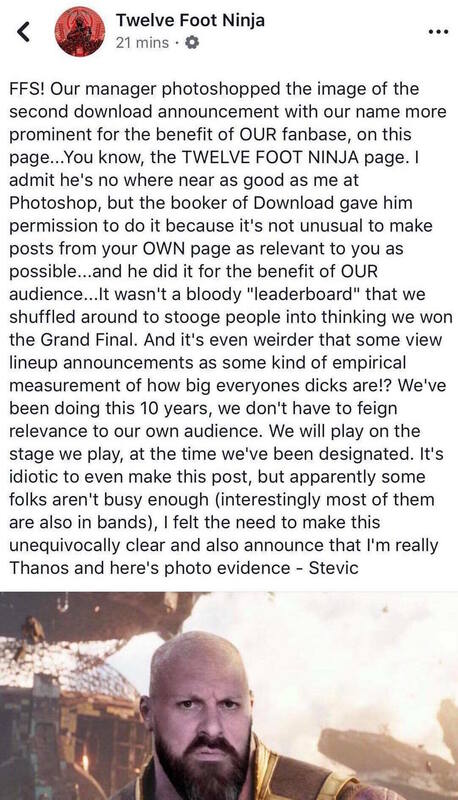 In the wake of the drama, Ninja guitarist Stevic took to Facebook to explain the whole sitch, reporting that the band’s manager was the dodgy photoshop culprit and explaining that the whole thing was done with Download’s full blessing to benefit the 12FN fanbase, and not to assert any kind of dominance over Polaris or Thy Art. He then mic-dropped with a photoshopped animated image of himself looking super swole, Thanos-style. 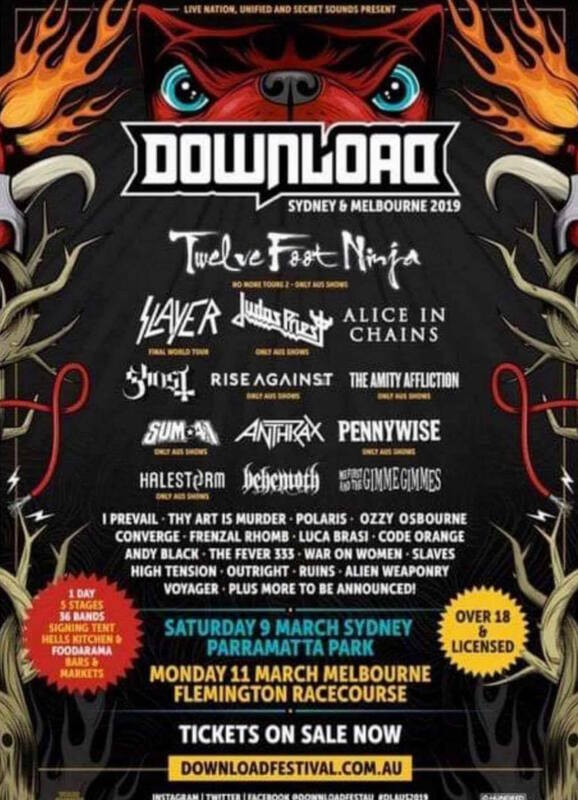 Punters also got in on the fun, with some photoshopping the full Download 2019 lineup with Twelve Foot Ninja replacing Ozzy Osbourne in the headliner slot. Check out some cheeky screengrabs below.